Rokshaw Laboratories is delighted to share that our anticipated debut at the Clinical Pharmacy Congress at the ExCel Arena in London, was a huge success! 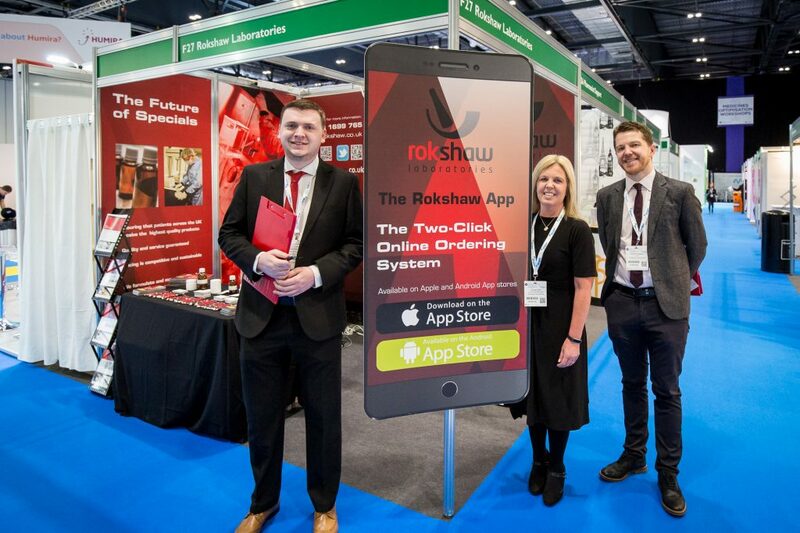 It was fantastic to share our ‘Future of Specials’ message on such a big stage, as well as speaking to Pharmacists, CCG’s, current customers and prospective customers about the areas in which Rokshaw can help. If you were able to see us at our stand, we hope that we contributed positively towards your show experience and that you can see that we are the Specials Manufacturer you can trust for Quality, Service and Pricing! This entry was posted	on Thursday, May 17th, 2018 at 10:49 am	and is filed under . You can follow any responses to this entry through the RSS 2.0 feed. Both comments and pings are currently closed.